My column in this month’s Tetbury Advertiser marks the end of an era as my daughter prepares to leave primary (elementary) school – and I reflect on the day I left school myself. It’s nearly time for school to be out for the summer, so why am I downhearted? Because the last day of term will mark the end of an era for me: my little girl will be leaving primary school for ever. Really I should be celebrating. Laura has had the good fortune to attend an outstanding primary school, and I mean that in the OFSTED* sense. She’s gained a place at an excellent secondary school. I’ve enjoyed playing an active part in the life of her primary school, serving on the PTA for six years. I got time off for good behaviour this last year. But every parent I know who has children at senior school assures me that life will never be quite the same again. 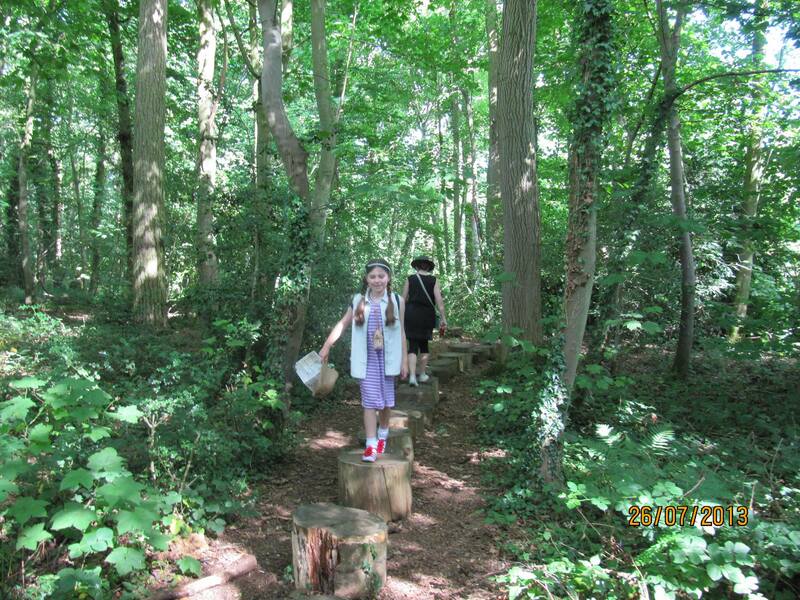 With an aversion to change that is typical of her age, Laura is nervous of moving up, though less so with every step she takes towards it – completing SATS, visiting Open Days, planning her new school uniform. I’m sure that, by September, she’ll be eager to embrace the new opportunities that will come her way. I know I was when I was her age. Gaining all the trappings of secondary school status was an exciting process, even if it was accompanied by my parents tutting at the expense. The smart new uniform and blazer, shiny leather satchel, a mysterious-looking geometry set in a tin, my own little hardback Oxford dictionary – all these heralded the start of a new adventure. Although I don’t remember my final day at primary school, I do recall sobbing as I got on the last school bus from my secondary school. I was living abroad, attending Frankfurt International School in Germany. The school was run on American lines, making much drama of our departure with a university-style graduation ceremony, complete with gowns and mortarboards. 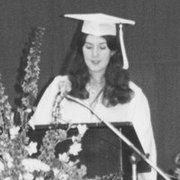 I was voted “valedictorian” or class speaker, responsible for making a final address to the assembled parents and staff, on behalf of the graduating students. I still have the typescript of my speech, which I’d bashed out on my red portable typewriter (no home computers in those days) and sellotaped onto orange sugar paper. I spoke about how attending an international school fit us better to play our part in the wider world. The speech went down well. I remembered to speak slowly and clearly, as per the instructions I’d written to myself in big red letters around the edge; everyone laughed in the right places; and afterwards other people’s parents asked for signed copies, assuring me that I’d be a famous writer before long. Well, we were all saying what each other wanted to hear that day. Now, more years later than I care to confess, I’ve just published my very first fiction collection as an Amazon ebook called Quick Change. It contains twenty terse flash fiction pieces, arranged in chronological order by the age of each story’s key characters, from cradle to grave. Pre-publication feedback is encouraging: “very subtle, very English, very clever”; “sly, witty, surprising, with genuine twists”; “they make domesticity look edgy, sometimes dangerous, but they are also life-affirming”. So rather like the Tetbury Advertiser, don’t you think? I just hope Laura fulfils her ambitions a little faster than I did upon leaving school. *For the benefit of my non-British readers, OFSTED is the government’s official school inspection board which visits all state schools every few years and reports on their standards. The highest level of praise they give is “Outstanding”, which is what they designated my daughter’s school earlier this year. Ah, I remember each of my children leaving their primary school, which sounds very much like this one and it is a tough time. Fortunately both settled well at secondary school and now my youngest is just about to start his final year and I’m left wondering where that time went! I hope Laura settles equally well Debbie. Laura did ask me when you was about 7 when she could start having driving lessons – I think she thought they’d make a great 8th birthday present! So glad that the internet has been invented since I left my international school because in the last few years I’ve been able to track down so many of my former classmates who are now spread all over the world. My older son is also leaving primary school this summer (I cried, I admit) – and we are currently living abroad, so both sides of your story sound very familiar to me. Congratulations on the book!